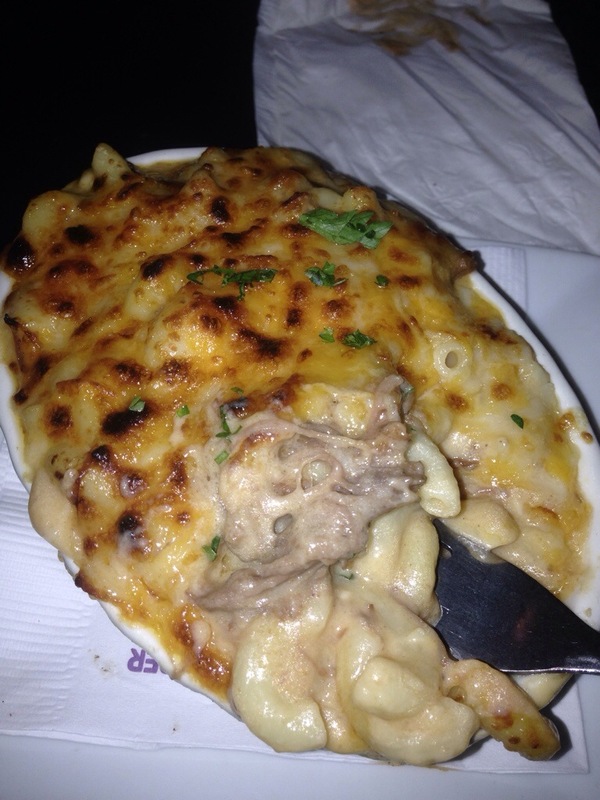 Short Rib Mac and Cheese | That Yum Factor! Any meal that includes the words “short rib” in the title and I am instantly swayed. You can’t really go wrong with short rib and (insert other food item here), but you especially can’t go wrong when that other food item is mac and cheese. What I like most about this place is the atmosphere; it is nestled in Jersey City’s Grove Street and the decor is just as comfortable and fun as the food. My favorite part was looking at all of the records that adorned the wall to make it look like wallpaper. There’s also another location called Park and Sixth Gastropub. Posted in Hudson County - NJ, Image format and tagged Jersey City on July 2, 2014 by thatyumfactor.